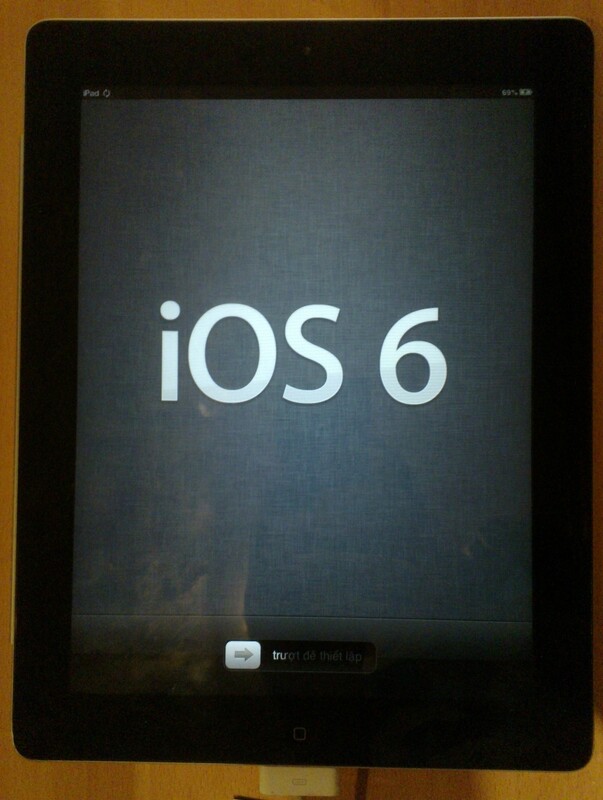 Previously I wrote a blog post about how Apple improved the browser performance on my iPad 2 with the new iOS 6. Now that I’ve been using iOS 6 for almost a day I noticed two big drawbacks: YouTube and Maps! Since the beginning of times Apple bundled with iOS a YouTube app. While it wasn’t the most advanced or feature complete YouTube app around (the Android version is arguably better), the app did the job well enough to be one of the most used apps by those who like to watch videos on the web. Apparently the license to bundle the YouTube app with iOS ended and Apple didn’t care about renewing it or making sure Google had an iPad optimized YouTube app on the AppStore before getting rid of the current one. There is an official YouTube app for free on the AppStore but it’s made for the iPhone and not for the iPad. Meanwhile you’re supposed to use Safari to browse in the YouTube mobile website and it’s also possible to add the website bookmark directly to the home screen but it’s not the same as having a proper app! There’s also some third party YouTube apps available at the AppStore but then again the question remains: why take away a feature from iOS without offering a better replacement? Unfortunately YouTube is just one of the problems with iOS 6 on the iPad: the new Maps app is also worse than the previous Google powered Maps app! 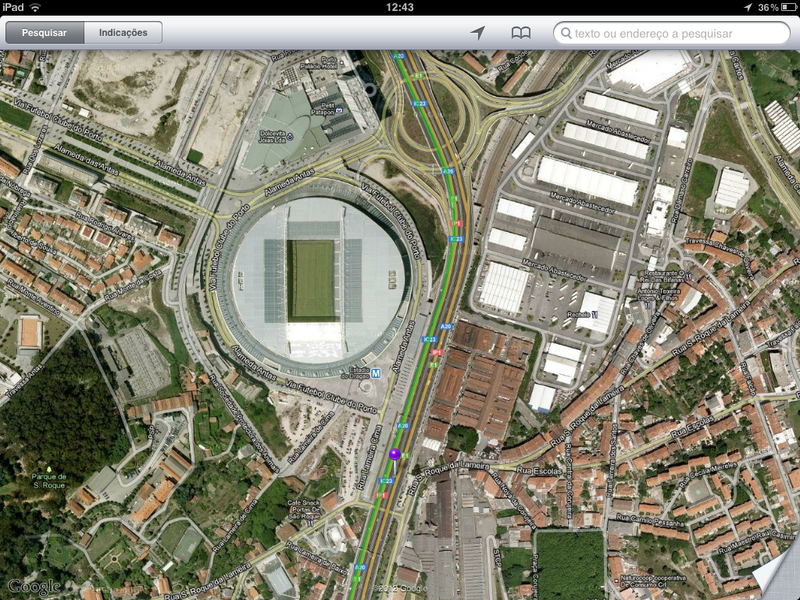 Above you can see the Google Maps app that was bundled with previous versions of iOS. The maps data quality was pretty good and there was a feature that was much nicer to use on the iPad touchscreen than with the mouse of a desktop computer: Google’s StreetView! 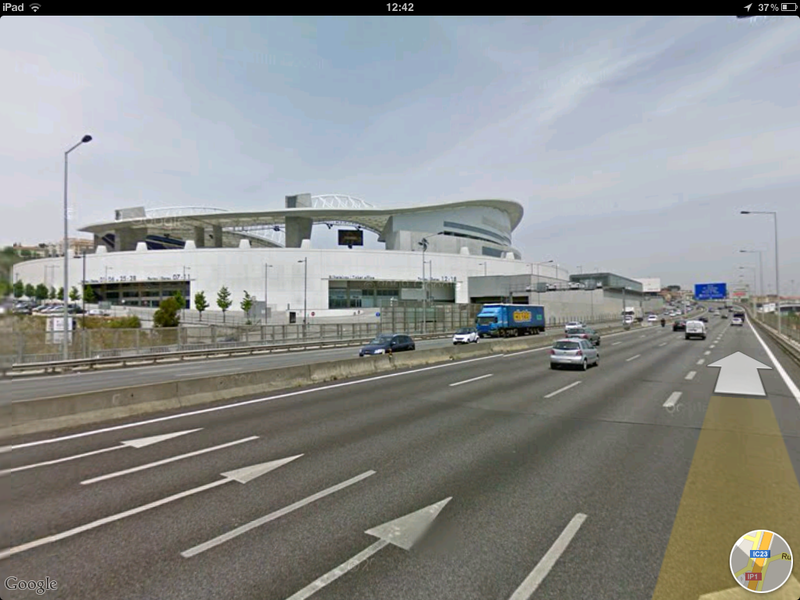 And of course, with the new app I lost the Google StreetView feature shown in the picture above! 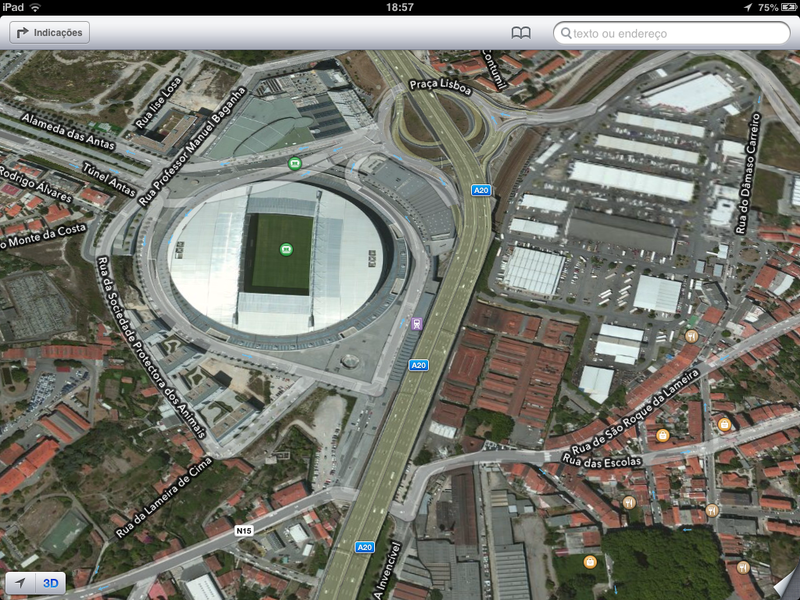 Below you can see Apple Maps at the exact same place of the previous screenshots. Besides losing some Google-related features there’s one thing that puzzles me: Apple bought last year C3 Technologies from Nokia. This company is the one behind Apple Flyover / 3D Maps and was the one that made possible Nokia Maps 3D feature that’s still available at the Nokia Maps website. 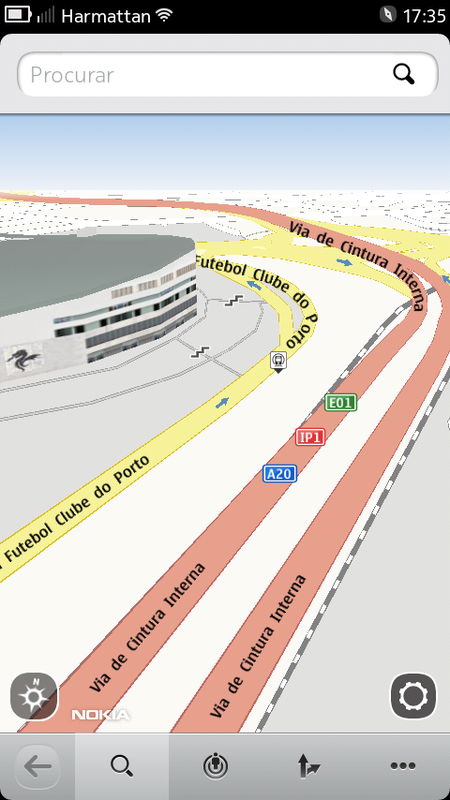 If you try last year’s Nokia flagship, the N9, you can check the exact same place I’ve shown before with the Nokia Maps app and, as you can see below, there’s a 3D model of the stadium. 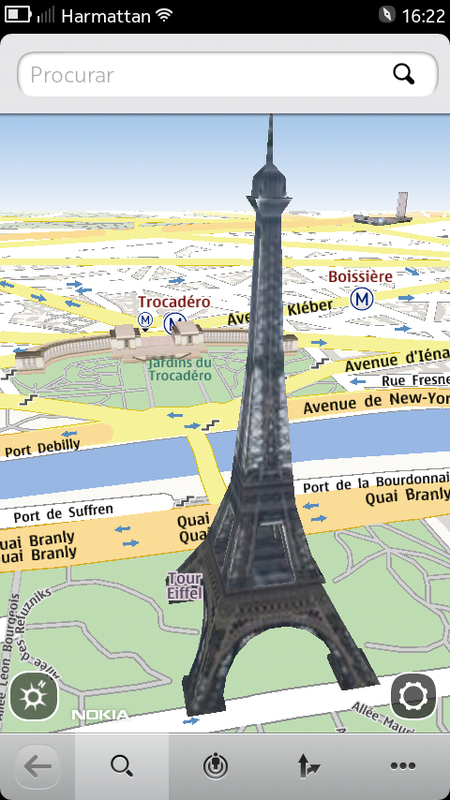 So my question is: why does Apple only have 3D maps in the USA? 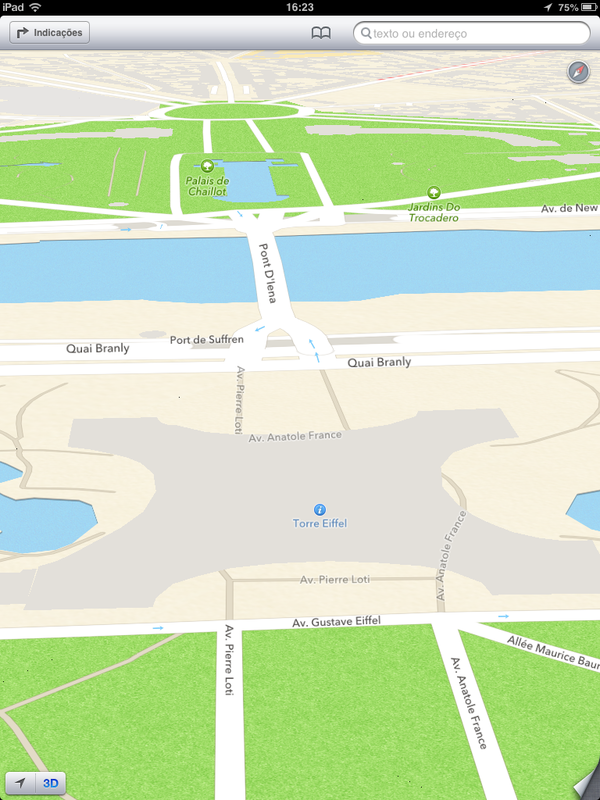 C3 Technologies had Europe 3D data when it was part of Nokia so it’s kind of weird not to have this feature enabled at least in the main European capitals. 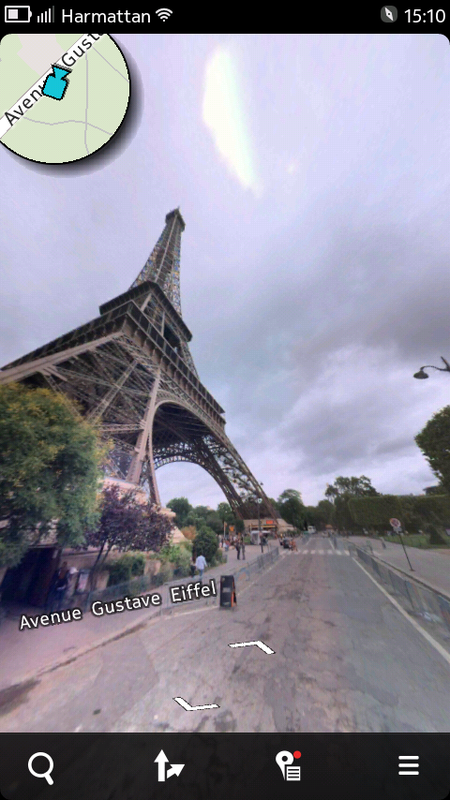 There’s also one question left in my mind: what about StreetView? If Apple doesn’t want to borrow that feature from Google perhaps they should start recording street level footage of the main cities to compete with Google! 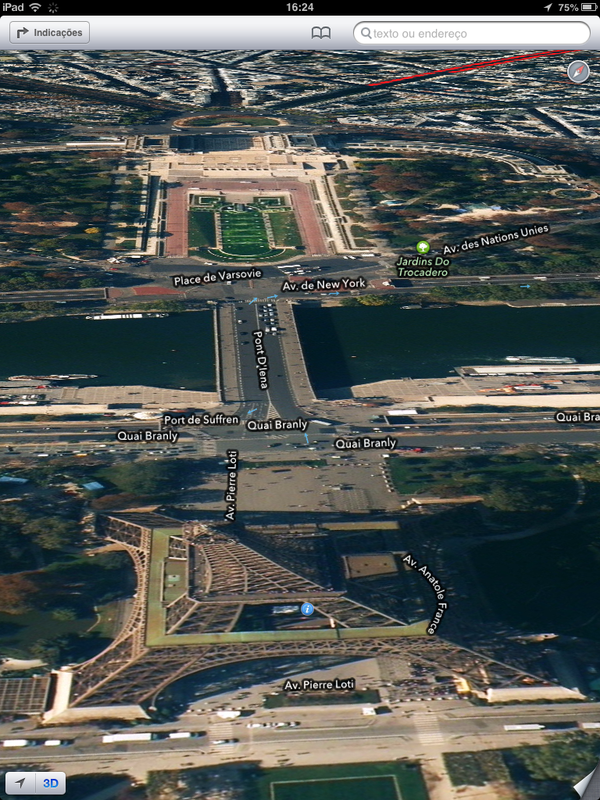 If you compare with Apple Maps you can clearly see the difference. I hope Apple sort this out soon rather than late because currently in Europe they are lagging behind the competition in location-related apps and services. This entry was posted on September 20, 2012 at 16:00 and is filed under Apple, Google, iOS, Nokia. You can follow any responses to this entry through the RSS 2.0 feed. You can leave a response, or trackback from your own site.